If you or someone you know has been injured in a construction-related accident in New York, whether as a worker or an innocent bystander, contact one of the most experienced construction accident attorneys Brooklyn has to offer. Construction is the second most dangerous job in the U.S. after mining, and studies show that more than 20 percent of all work-related deaths in the private industry are within the construction industry. Approximately 4,405 workers were killed on the job in 2013, according to U.S. Department of Labor (DOL) statistics. Often these construction accidents involve contract workers, the most common class of worker in the industry, though sometimes pedestrians are victims as well. In fact, NYBD reports 231 construction accidents in the five boroughs in 2014, up from 186 in 2013. Generally, an injured party must prove fault by establishing the other party was “negligent”. Negligence is found when a party breaches a legal duty owed to another, causing harm to the person, which results in damages. Establishing fault is essential in an accident case as it determines who is awarded compensatory damages in a lawsuit and who is liable for payment. A delay in filing a lawsuit can adversely affect, or even damage, vital evidence and make it more difficult to investigate and prove fault. Additionally, New York law has time limits during which a suit may be filed before it is barred forever. Highly professional and industry-trained accident attorneys in Brooklyn can help you if you have been a victim of a workplace related injury. 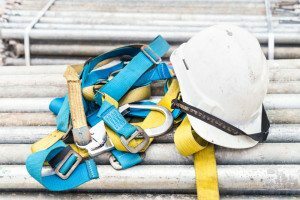 Accidents that occur on construction sites can be serious and, sometimes, tragically fatal. The compensation owed to a victim – or the survivors of a victim – may include pain and suffering, lost wages and benefits, medical expenses, and rehabilitation costs, among others. Because these cases can be complex, often with multiple defendants named in the suit, victims should seek out knowledgeable and among the most highly skilled accident attorneys Brooklyn has to offer. The legal professionals at the Law Office of Jeffrey Kestenbaum have years of experience representing victims. Contact us online or call (718) 237-5586 today for your initial consultation.